Roberta Brandes Gratz, an award-winning journalist and urban critic, international lecturer and author, was voted one of Planetizen’s top 100 urban thinkers in 2011. Her most recent book is We're Still Here Ya Bastards: How the People of New Orleans Rebuilt Their City. She is also author of The Battle For Gotham: New York in the Shadow of Robert Moses and Jane Jacobs; The Living City: Thinking Small in a Big Way; and Cities Back from the Edge: New Life for Downtown. 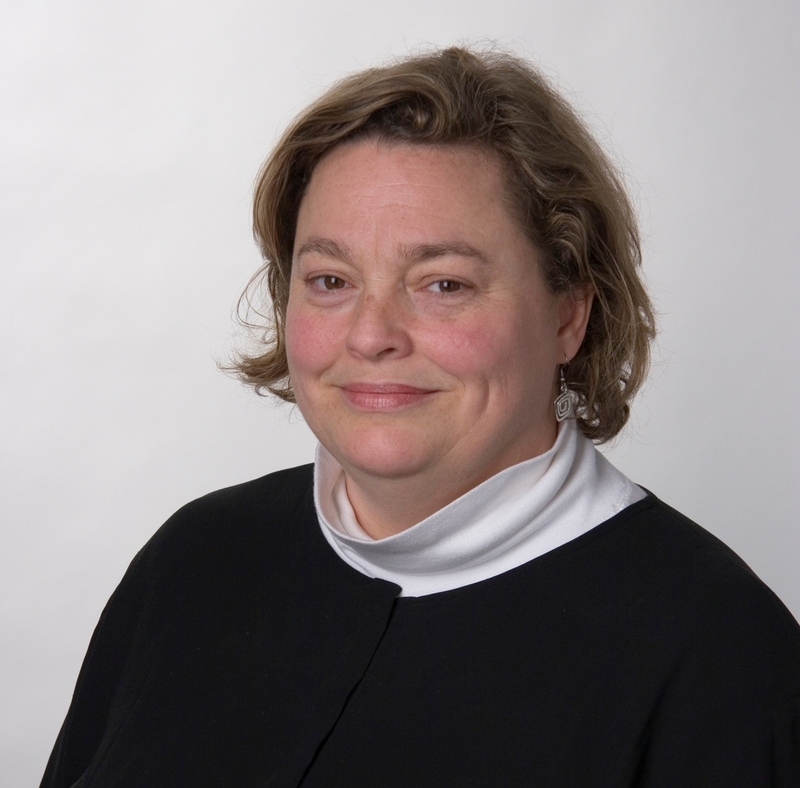 In the 1990s, Ms. Gratz worked with William Moody of the Rockefeller Brothers Fund traveling throughout Central Europe to observe and advise newly formed citizen-based organizations on regeneration strategies. In 2000, she wrote a book-length report for RBF A Frog, A Stream, A Wooden House: Ten Years of Community-based Change in Central Europe. Ms. Gratz is widely credited for coining the term “Urban Husbandry” and illustrating in her writing how urban regeneration works in actuality, rather than just in theory. She was appointed by Mayor Michael Bloomberg to the NYC Landmarks Preservation Commission in 2003 and left that position in the Fall of 2010 for an appointment to the Mayor’s Sustainability Advisory Committee. In 2005, in collaboration with Jane Jacobs, Stephen Goldsmith and Margie Zeidler, Ms. Gratz founded the Center for the Living City to build on Ms. Jacobs’ work. This was the culmination of several years of discussion with Ms. Jacobs about building on her legacy. Ms Gratz recently published a book on the recovery of New Orleans after Hurricane Katrina, titled We're Still Here Ya Bastards: How the People of New Orleans Rebuilt Their City. Her articles appear online in her Huffington Post blog, Citiwire, and Planetizen. 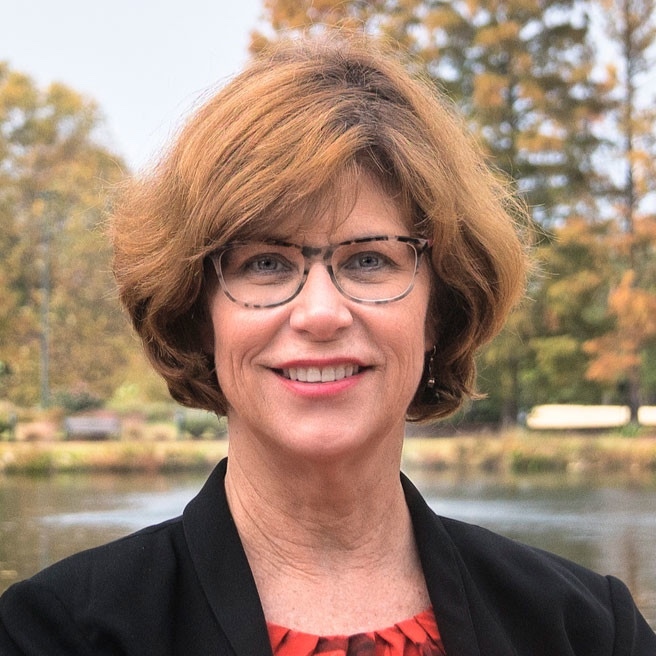 Mary Newsom is a journalist with decades of experience writing on urban issues, focusing primarily on growth in the Charlotte region and the Sun Belt. She was an award-winning editorial writer, associate editor, op-ed columnist and member of the editorial board at the Pulitzer Prize-winning Charlotte (N.C.) Observer. She left the newspaper in 2011 to serve as Director of Urban Policy Initiatives at the University of North Carolina at Charlotte Urban Institute, the oldest and most prestigious research center at UNC Charlotte. She left the institute in 2018 to pursue free-lance writing. A Phi Beta Kappa graduate of the University of North Carolina, she was a Nieman Fellow at Harvard University in 2007-08 and in 2005-06 she was a Knight Fellow in Community Planning at the University of Miami School of Architecture. A longtime blogger, she writes The Naked City Blog (www.nakedcityblog.blogspot.com) and chairs the board of trustees of the Charlotte Museum of Historyfrom 2013 to 2016 was on the Z. Smith Reynolds Foundation's Community Leadership Council. She was a consulting editor for the founding of Citiscope.org, which examined urban innovations around the globe. Her writing has appeared in CityLab, Next City and Grist, among other publications. Stephen Goldsmith is currently Director of the Center for the Living City, as well as an Associate Professor in the Department of City & Metropolitan Planning at the University of Utah. He also serves as the co-director of the University's Consortium for Dark Sky Studies. Stephen was also the founding director of Artspace, a community development corporation creating affordable housing and workspace for artists and others in Salt Lake City. He is an accomplished sculptor whose water features and environmental installations can be seen in public spaces throughout Salt Lake City. 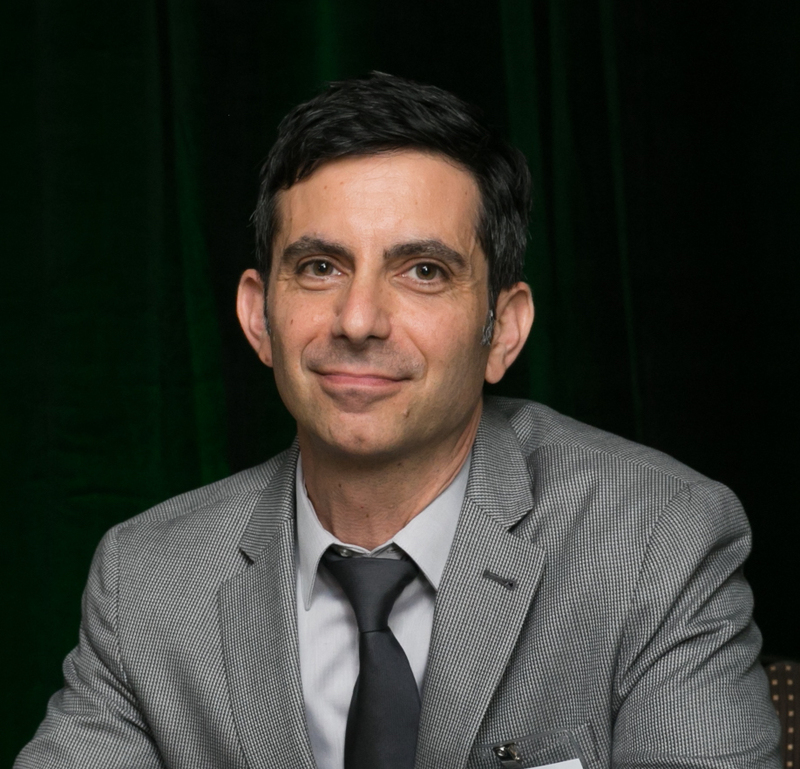 Stephen is both a former Loeb Fellow, Advanced Environmental Studies (Graduate School of Design, Harvard University) and former Director, Frederick P. Rose Architectural Fellowship Program. Trained as an architect, Margie Zeidler is the Founder and President of Urbanspace Property Group specializing in the adaptive reuse of old buildings that provide spaces for artists, cultural producers, social innovators and entrepreneurs. Urbanspace’s projects foster an inspiring integration of commerce, culture and community. Projects include - 401 Richmond and the Robertson Building (home to the Centre for Social Innovation which was created by Urbanspace in 2004). She is the recipient of the “Jane Jacobs Prize”, the Toronto Untitled “Best Friend of the Arts” Award, and the Order of Ontario. Co-founder of the Centre for City Ecology, Urbanspace Gallery (devoted to exhibitions on civic issues) the Centre for Social Innovation, and “Jane’s Walk” an annual event to celebrate the life and ideas of Jane Jacobs. Dr. Peter Laurence is director of graduate studies and associate professor of architecture at Clemson University School of Architecture. Peter has been a student of Jane Jacobs's work for many years, with studies in business and entrepreneurship, architecture, and urban history drawing him to her books on cities, economies, and civilizations. He is the author of Becoming Jane Jacobs (University of Pennsylvania Press, 2016 http://a.co/gcobJqR), an intellectual biography that focuses on the origins of The Death and Life of Great American Cities and the influences of her early life and career on her later books. Peter’s other writings on Jacobs, urban history, and urban design have been published in Journal of Urban Design, Journal of Architectural Education, and Journal of the Society of Architectural Historians, in addition to edited volumes including Reconsidering Jane Jacobs (Planners Press), Alternative Visions of Postwar Reconstruction (Routledge), A Critical History of Contemporary Architecture (Ashgate), and The Penn Resolution: Educating Urban Designers for Post-Carbon Cities (Penn Design). In 2006, he served as a consultant for the creation of Rockefeller Foundation's Jane Jacobs Medals and, in 2008, helped lead “Re-Imagining Cities: Urban Design After the Age of Oil,” an international symposium marking the 50th anniversary of the Penn-Rockefeller Conference on Urban Design Criticism, which Jane Jacobs was part of just before writing Death and Life. Peter continues work on Jacobs and is now writing a reader's guide to The Death and Life of Great American Cities. He also helps spearhead TheUrbanismProject.org, which promotes urbanism and urban design education in architecture curricula. More about his work can be found at peterlaurence.academia.edu. Norman Mintz has played a leading role in the field of downtown revitalization for over thirty-five years and is considered one of the pioneers of the Main Street movement. He is noted as downtownʼs first Main Street manager, a role now followed in thousands of commercial districts around the country. He is the head of his own consulting firm and specializes in working with villages and cities of every size on all matters of urban design, retail and promotion in order to make them more popular as activity and shopping destinations. Norman is a frequent lecturer and currently teaches a neighborhood commercial revitalization class at Pratt Institute in Brooklyn, NY. He is the recipient of the Meritorious Service Award for Urban Design Implementation awarded by the American Planning Association, New York Chapter. He collaborated with other authors in the book Cities Back From The Edge: New Life For Downtown, published by John Wiley & Sons. The book has been reviewed as a “must read” and chronicles stories of how communities across America have revitalized their commercial centers using modest and innovative approaches to achieve successful and lasting results. 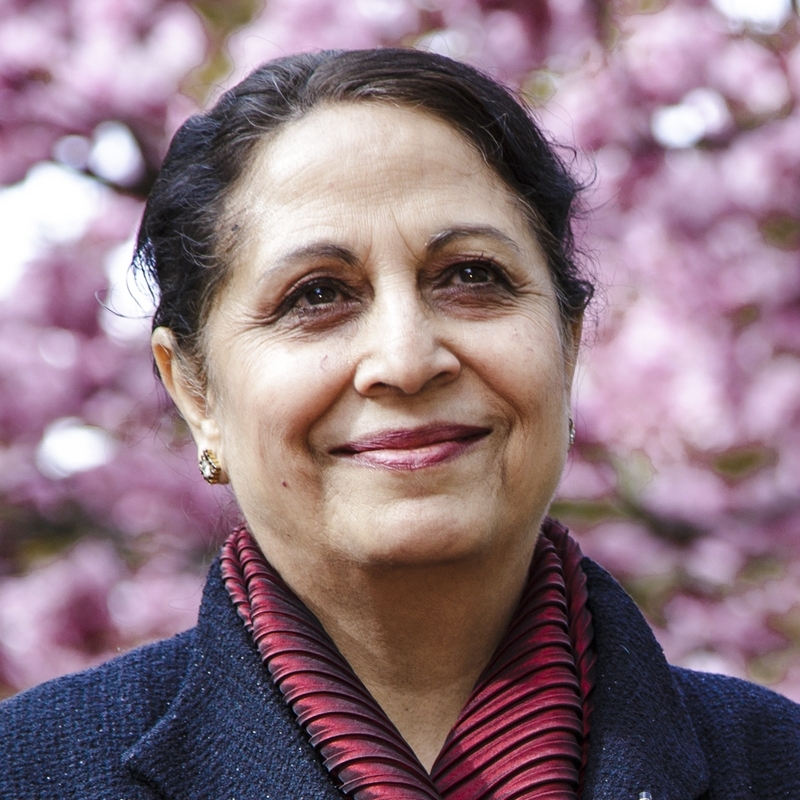 Dr. Geeta Mehta is an adjunct professor of architecture and urban design at Columbia University. She has worked on design projects in USA, India, China, Austria, France, Ukraine, Colombia, Brazil, Jamaica, Ghana and Kenya. Geeta was recognized as one of the 21 Leaders of the 21st Century by Women’s eNews in 2015, and by HSBC Bank as one of the Social Entrepreneurs of the year in 2017. Geeta is the founder and president of Asia Initiatives (www.asiainitiatives.org), a non-profit organization with a mission to help under-served communities through empowering women. For this work, she has been called “the architect of women’s empowerment”. Geeta is the innovator of Social Capital Credits (SoCCs), a virtual currency for social good that has been used in USA, India, Ghana, Kenya to incentivize participation in community improvement projects. In April 2018 Asia Initiatives won the Happy City competition, and has been invited to implement SoCCs in the entire capital city of Amravati in India. Geeta is also the co-founder of “URBZ: User Generated Cities” (www.urbz.net), that works with underserved communities to help them transform their neighborhoods through advocacy and by improving public spaces and homes. Laurie founded Beckelman+Capalino with James Capalino in 2005 in response to strong demand from arts, cultural and historic preservation clients to provide high quality strategic planning and project management services. Prior to founding Beckelman+Capalino, Laurie served as the Director of the New Building Program for the Museum of Art & Design at Columbus Circle. Previously, she was Deputy Director for Special Projects for the Guggenheim Foundation, where she was responsible for the proposed Frank Gehry-designed Guggenheim Museum at Wall Street and the East River in Manhattan. Laurie served as the Vice President for the World Monuments Fund, a private, global, not-for-profit organization founded in response to the accelerating destruction of important artistic treasures throughout the world. She was the Executive Director of The Joseph Papp Public Theater and Vice President of LaSalle Partners, where she managed the plan for the redevelopment of Grand Central Terminal, and advised the Empire State Development Corporation on the redevelopment of 42nd Street. Laurie was appointed Chair and Commissioner of the New York City Landmarks Preservation Commission by Mayor David N. Dinkins and continued as Chair under Mayor Rudolph W. Giuliani. Before that she was Executive Director of the New York Landmarks Conservancy. Ms. Beckelman was a Loeb Fellow at Harvard University’s Graduate School of Design and now serves as a member of the GSD’s Alumni Council. She studied for a Master’s degree from New York University’s Graduate School of Public Administration, and received her Bachelor of Arts and Science from Boston University. She is a member of numerous boards of directors including Performa, Metropolitan Waterfront Alliance, and the Advisory Council for the New York Landmarks Conservancy. Hannah Evans is currently the Director of the Ontario Ministry of Municipal Affairs and Housing in Toronto, working specifically on disaster relief management. Previously, she was the Director of Partnerships and Consultation for the Ontario Growth Secretariat Management Team, responsible for leading stakeholder and public outreach and consultation. In 2010, Hannah lived in Amman, Jordan, and worked on urban sustainability projects with the Amman Institute for Urban Development. Prior to joining the Secretariat in 2002, Hannah was based for 10 years in New York City and Prague where she worked for the Foundation for a Civil Society on sustainable development and participatory planning projects. She holds a Bachelor’s degree in Commerce and Finance from the University of Toronto and a Master’s degree in Environmental Studies from York University. Since 1990, her work interests have focused on sustainable urban environments and civic engagement in decision-making about land use and infrastructure. Hannah has worked with both non-government and public sector organizations, including the Foundation for a Civil Society, the Via Foundation, Evergreen and the Ontario Public Service. She is passionate cyclist and a long-time member of the Huron Street Community Garden, Toronto's first community garden on public land. Vidhya Mohankumar is an architect and urban designer with 14 years of work experience in India, Ireland and the United States. Her work is focused on creating cities that are people-oriented and centred around transit as part of a sustainable development agenda that she is passionate about. Her approach is driven by research that is grounded and intersectional as a way to understand the everyday urbanism of cities. With clientele ranging from state governments, ULBs, county/town councils, real estate developers, private sector firms and NGOs, her urban design projects exhibit a wide variety with master plans for cities, towns, station areas, harbour areas and their environs as well as redevelopment plans for town centres, city public spaces and brownfield sites. She has also been involved in several strategic planning projects, regional plans, local area plans, campus master plans and urban design studies for existing developments in various cities around the world. In 2011, Vidhya founded Urban Design Collective (UDC), a collaborative platform for architects, urban designers and planners to create livable cities through participatory planning. In addition, she has been advocating sustainable development practices as a guest faculty at various universities in India for the past 10 years. Vidhya received a masters degree in urban design with distinction from the University of Michigan, Ann Arbor, USA and a bachelors degree in architecture from the National Institute of Technology, Tiruchirapalli, India. Glenna Lang is the author of Genius of Common Sense: The Story of Jane Jacobs and “The Death and Life of Great American Cities,” a book for young adults of all ages, which was chosen as a 2009 Notable Book by both the New York Times and Smithsonian magazine. That same year, in collaboration with the Cambridge Historical Commission, she started an annual Jane Jacobs’s Walk, which has become a highlight of early May with the ever-growing participation of enthusiastic residents. In 2011, Glenna lectured at the dedication of Jane Jacobs’s childhood home in Scranton, Pennsylvania, which catapulted her into more research on Jane Jacobs, leading to her forthcoming book on Jacobs, tentatively titled Jane Jacobs’s First City: Learning from Scranton. Glenna teaches illustration and design at the School of the Museum of Fine Arts, Boston, where she seeks to engage students in projects for nonprofit organizations and other good causes. She graduated from the University of Chicago, where she loved gazing at Frank Lloyd Wright’s Robie House from her dormitory window and was shocked to learn of the routine destruction of Chicago’s other architectural gems. Although she mainly grew up in New York City (in the Jackson Heights neighborhood of Queens), she has spent most of her life in Boston and Cambridge, Massachusetts, whose urban environment has inspired her art. Her illustrations have appeared frequently in the Atlantic Monthly, the Boston Globe, and many other publications. She has written and illustrated five picture books for children, including the American Library Association’s prize-winner Looking Out for Sarah, depicting a day in the life of a seeing-eye dog and his owner from the dog’s point of view. William S. (Bill) Moody, a longtime program officer and later a program director with the Rockefeller Brothers Fund (RBF), managed grantmaking programs for 40 years, first in economic development and natural resources management in Latin America; community action and conservation in sub-Saharan Africa, race relations in South Africa, and eco-development in the Caribbean; later, in sustainable development and civic engagement/democratic practice in Central and Eastern Europe and the Western Balkans; and, along the way, in international relations and human rights. Together with Priscilla Lewis as editior, Bill is the author of Staying the Course: Reflections on 40 Years of Grantmaking at the Rockefeller Brothers Fund (Alliance Publishing Trust, London,UK 2014). Bill was educated a Northwestern University (BA); University of Geneva, Switzerland; University of Michigan Law School (JD); and the Institute of European Studies of the Free University of Brussels, Belgium (licence speciale). He is a member of the governing boards of International House, New York, the Belgian American Educational Foundation, and the Woodstock Foundation in Vermont. Mindy Thompson Fullilove is a professor of urban policy and health at The New School. She is a board-certified psychiatrist, having received her training at New York Hospital-Westchester Division (1978-1981) and Montefiore Hospital (1981-1982). She has studied epidemics of poor communities, as well as ways to repair them. From her research she has published over 100 articles and as well as six books including: The House of Joshua: Meditations on Family and Place; Root Shock: How Tearing Up City Neighborhoods Hurts America and What We Can Do About It; and Urban Alchemy: Restoring Joy in America’s Sorted-Out Cities. She has received many awards for her work including inclusion in the “Best Doctors in New York,” two honorary doctorates (Chatham College, 1999, and Bank Street College of Education, 2002) and election to honorary membership in the American Institute of Architects.